August 12, 2015 Local Events, NewsR.C. 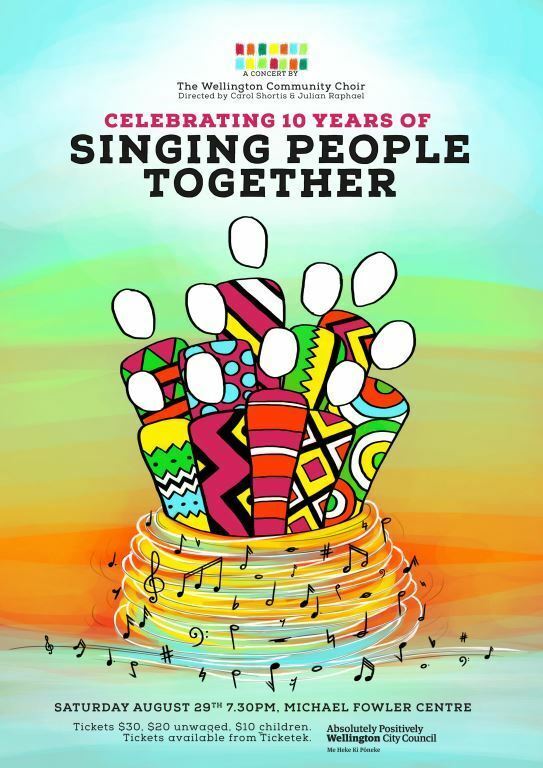 Celebrating with a programme of music from the world’s cultures, Wellington Community Choir will be joined by guest choirs and local musicians at this special 10th anniversary concert. See more here. We can almost claim the choir for Newtown – members from all over Wellington come to Te Whaea: National Dance & Drama Centre in Hutchison Rd to practice., and at this year’s Newtown Festival the Choir were the first performance on the Main Street stage. Follow this link to see their profile.